1) Technical Assistance- A body of technical volunteers ( architects, doctors, paramedics, teachers, craftsmen etc.) which has the task of evaluating the feasibility of our projects, to develop new projects and to oversee their execution. 2) On site assistance-A group of volunteers who have the task of overseeing projects on site and organize the training and collaboration with local helpers. 3) Public Relations- These volunteers who have the task of developing public relations within Italy and abroad and publicizing the Association’s activities. This group of volunteers organize, amongst other things, exhibitions, plays, and educational activities to inform young people about the problems facing developing countries. 4) Fund raising- This body are in charge of fund raising. During the course of the past few years, the Association has gained in experience and there is a very close cooperation between the professionals and volunteers working in all the areas named above. This has had a profound effect on the planning and execution of projects. A large number of projects have been planned and some have been completed. These include social, agricultural, production and sanitary development programs concentrated in the Chimaltenango region. In order to find a local counterpart and to ensure the realization and management of projects in Guatemala, Sister Marcella together with a number of local residence ( amongst whom doctors, lawyers, members of the Clergy, other professional and workers) set up the ‘PROGRAMMA ESPERANZA ’association in Guatemala. 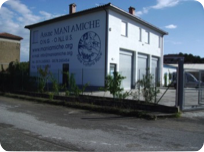 This constituted the first local body to work in collaboration with the MANI AMICHE ASSOCIATION who then proceeded to manage all of the Associations projects. This Association was legalized in the City of Guatemala on the 17th of April 1991. 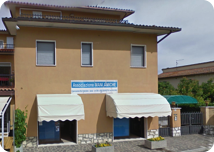 From November 1994 onwards the new local counterpart is the Diocese of Sololà.